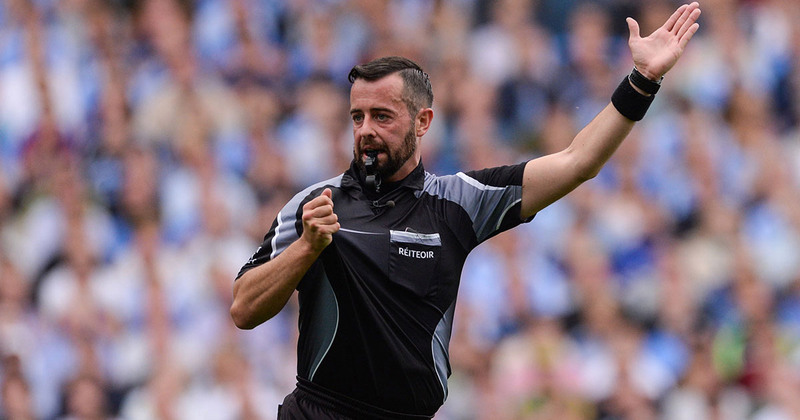 Inter-county referee David Gough opened up in an interview about the homophobic abuse he received from the stands in Croke Park. News 26 November, 2018 . Written by Brian Dillon. David Gough, the country’s first openly gay GAA match official, has spoken out about being subjected to homophobic abuse from the stands during an inter-county game at GAA headquarters. Gough, who is on the GAA’s elite panel of inter-county referees, said that he never has issues with players or team officials, but has had homophobic abuse thrown his way by supporters during matches. The Meath native spoke on Off The Ball on Saturday, November 24 and was asked if he ever suffered homophobic abuse during matches. He added, “they’re covered in rule by homophobic or sectarian language but when you go outside of that, outside of the player environment and into the stands, that’s where the abuse comes. “There is a general lack of knowledge and ignorance around it. I have an ear-piece in one ear and the rest is background noise. “I did experience that in my time at Croke Park. I was on my way off the field and I just kept going. I didn’t want to stop. “It was embarrassing for me because my umpires are my family. I have an uncle, a cousin, a brother and a father there and they are walking off the pitch with me. They have to listen to it too and I find more difficult that they have to deal with it. “The abuse chips away at you,” he added. Gough made headlines in 2015 when the GAA refused to allow him to wear a rainbow wristband during the Marriage Equality referendum. He also spoke about the “lost opportunity that” is the lack of decision around the Irish rugby team wearing rainbow laces to show support for gay rugby player Gareth Thomas, who was the victim of a vicious homophobic attack last week. 26 November, 2018 . Written by Brian Dillon.